Chewy is your one-stop shop for your furry family. Whether you're running low on dog food, dog treats or are looking to get your dog some new dog toys - we have everything your dog needs (and wants). If you've been searching for silver dog clothing & accessories, look no further. 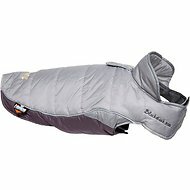 Among the wide selection we carry, one option to try is Fab Dog Metallic Puffer Dog Jacket. Key benefit: an elastic belly band is added to make your pal feel comfier. 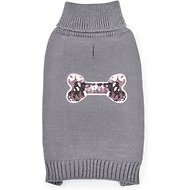 Another product is Zack and Zoey Elements Sequin Bone Dog and Cat Sweater. Key benefit: features a high-cut belly that's designed to stay dry during those chilly, damp walks. Whatever it is you're looking for, Chewy has got you covered. Shop our wide selection of dog supplies today and treat your pupper to a box of new goodies. 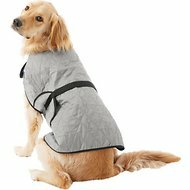 For all your pet needs including silver dog clothing & accessories, Chewy has you covered! We're here for you.